We manufacture special purpose facing lathe for making short length but big diameter job. We had made this type of machine for facing job up to 10 feet. You can do bore and OD of the job to some extend. JP Facing Lathes are available in two variant: With tailstock and without tailstock Available from swing over bed 40" to 150"
We are catering to the requirements of heavy engineering and other industries while manufacturing and exporting a precision-engineered range of FACING Lathe Machines. These machines are customized as per the specifications of our clients and are demanded for outstanding performance even in rugged conditions. Centre height approx. 550 mm , with feed spindle, connection for hydraulic adjustment for vice. Siemens 380 V engine, 11.5 kW., Total approx. 3200 x 1500 H 1750 mm . USED FACING LATHE MACHINE . IMPORTED FROM GERMANY . To meet the huge market demands, we are involved in offering unmatchable quality of Facing Lathe Machines. These Facing Lathe Machines are extensively used for all lathe operations, such as turning, boring, drilling, reaming, etc. Moreover, these products are appreciated for their hassle free performance. Bed& all casting parts are manufactured in modern foundry the bed is made from a graded casting 2v & flat type hardened & ground bed ways. Our company is offering durable range of Facing Lathe Machine to different industries thus helping them in their manufacturing processes. We are offering our customer a wide range of Face Lathe Machines. 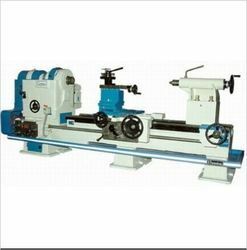 These Face Lathe Machines are widely known for its durability and quality. 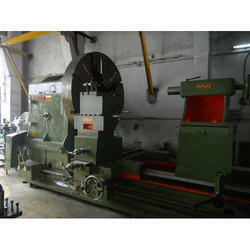 These Face Lathe Machines are available at industrial leading price. Dayal Pneumatics And Weighing Technologies Pvt. Ltd.